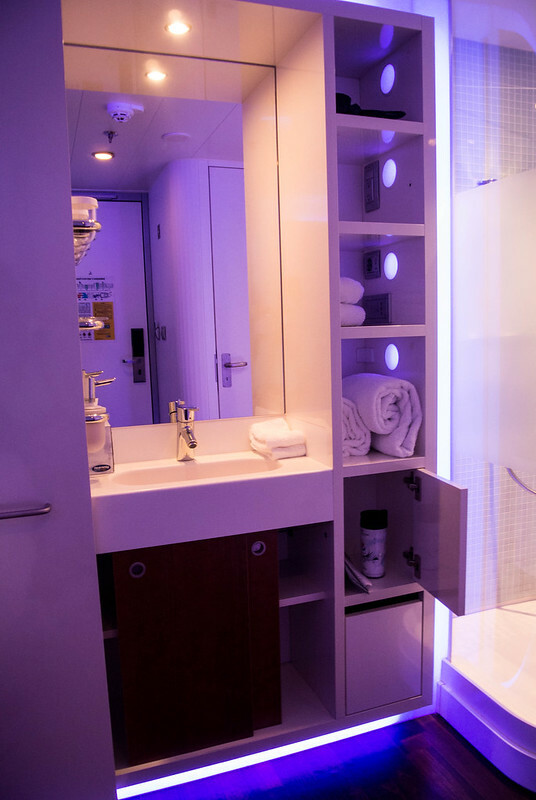 Studio cabins which first launched on the Norwegian Epic and are now also on the Breakaway and Getaway are NCL's innovative solution to single travelers. 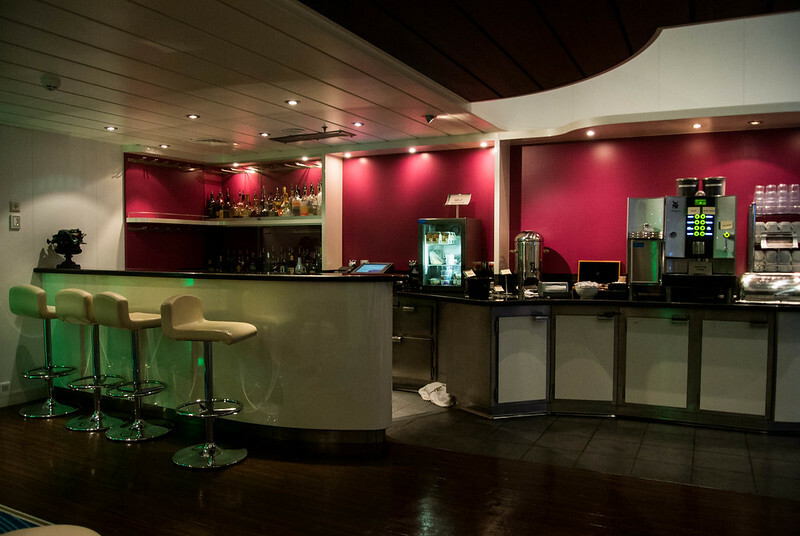 Because cruise fares are based on a two-person occupancy, solo travelers are required to pay a "single supplement fee" when sailing in a room which would normally be occupied by two or more people. So a solo traveler could potentially be paying up to double the per person price in single supplements. 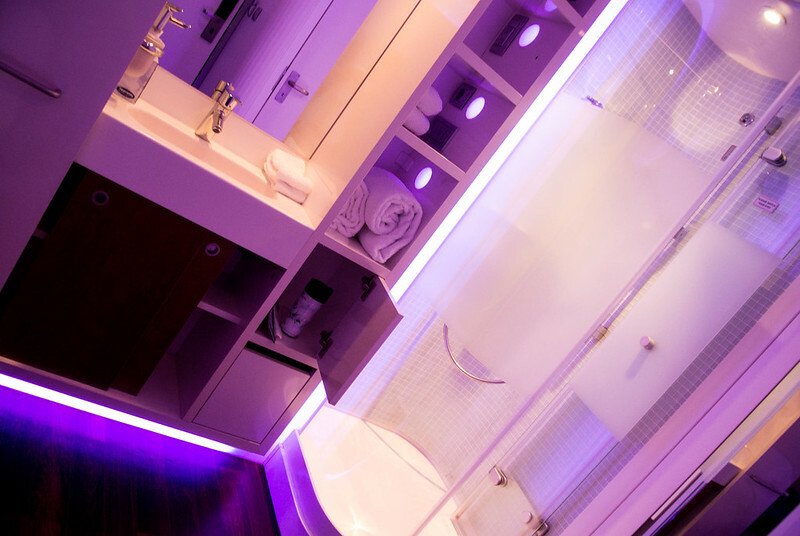 With the Epic's studio cabins, there is no single supplement fee. 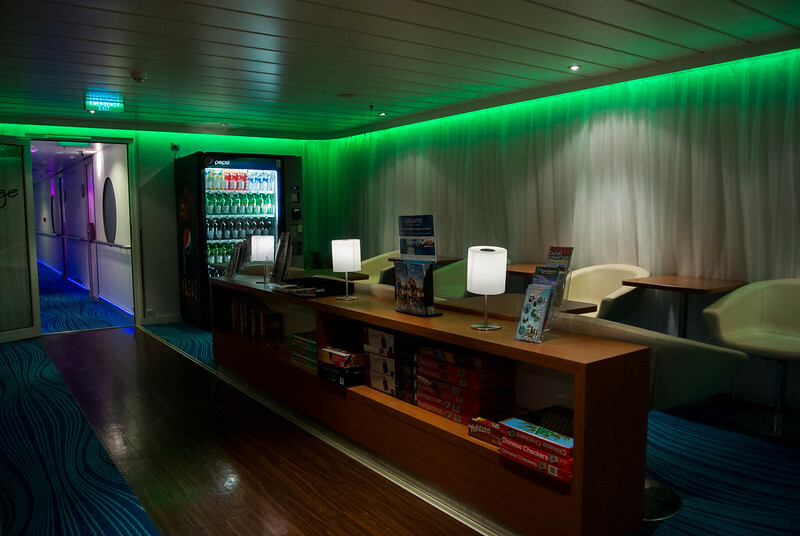 The price of the cabin is a *little* more than the per person fee for a regular inside stateroom. 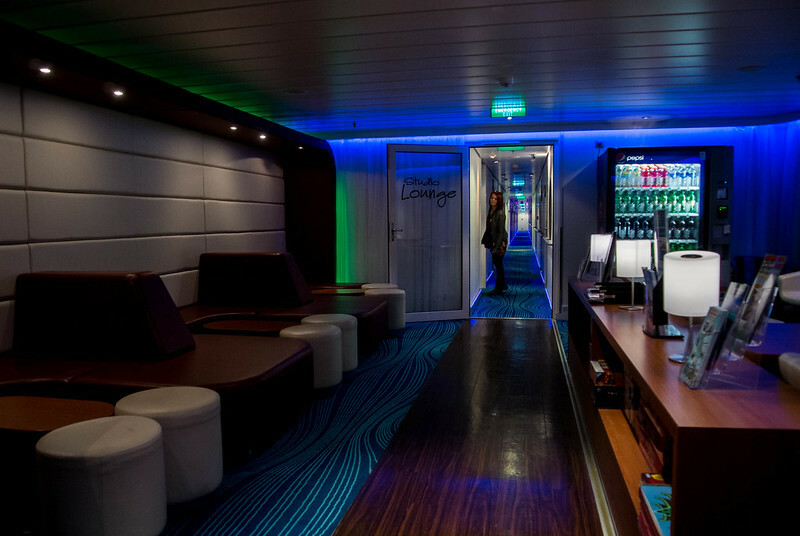 The studio cabins on the Epic are located on decks 11 and 12. 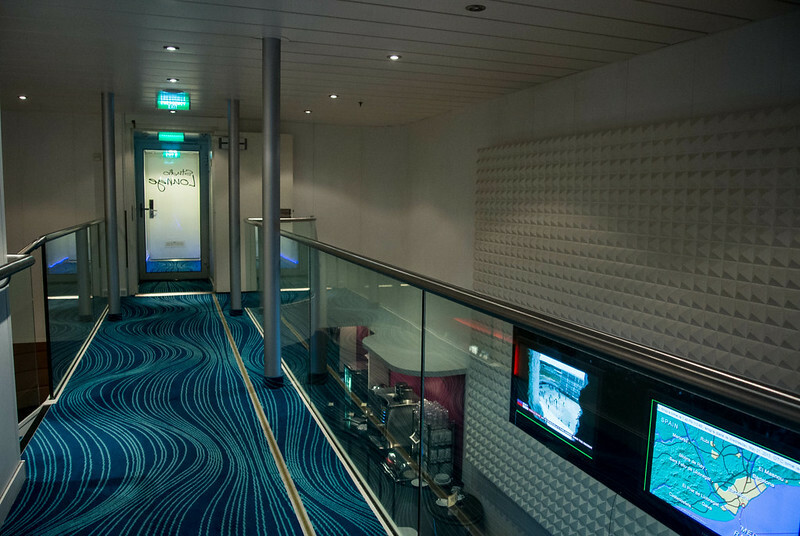 The hallways to the studio cabins require key card entry. However, I found that the doors don't fall shut behind you, so the doors were often left ajar. The "Welcome" scrolls to Do Not Disturb, Make Up Room, and Turn Down Room. The shower would be quite spacious if it weren't for the poorly-designed door which doesn't close all the way shut. Instead, it leaves a triangle outside and eats into the space inside of the shower. 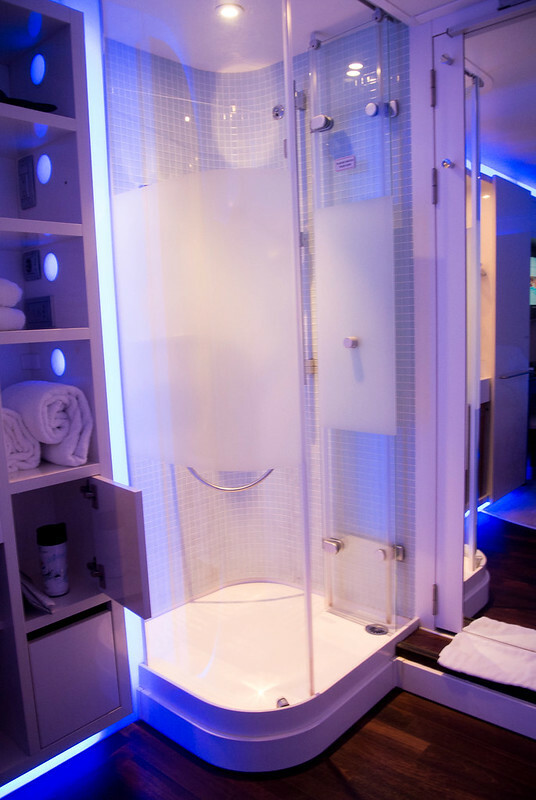 Also, note that the shower is mostly clear. For this reason, I flipped the dead bolt every time I showered. 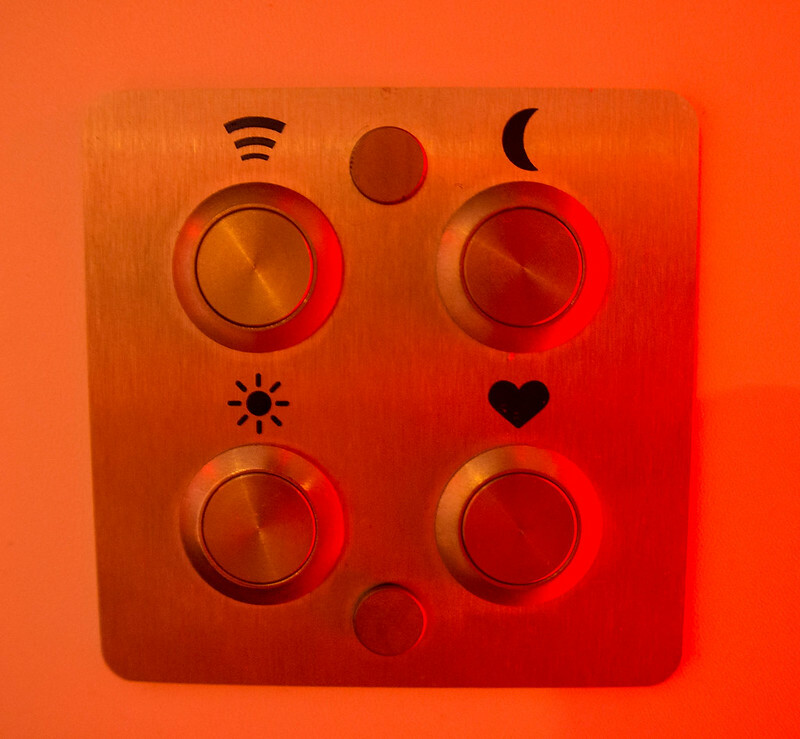 You can also select the color of the "mood lighting." When I was getting ready, I stuck with the sunlight icon which is a nice white light. 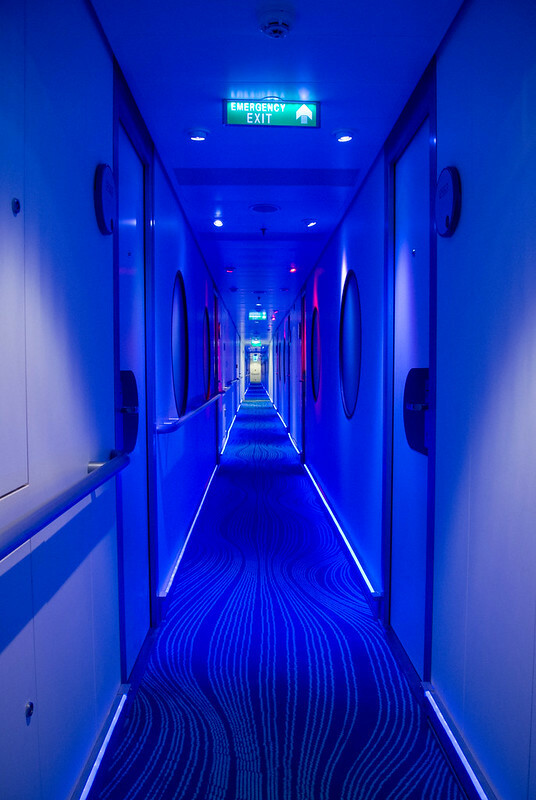 There was also a connecting door which I thought was weird because these cabins are for solo travelers. However, I later learned that many of the studio cabins were occupied by group travelers who just wanted their own staterooms. 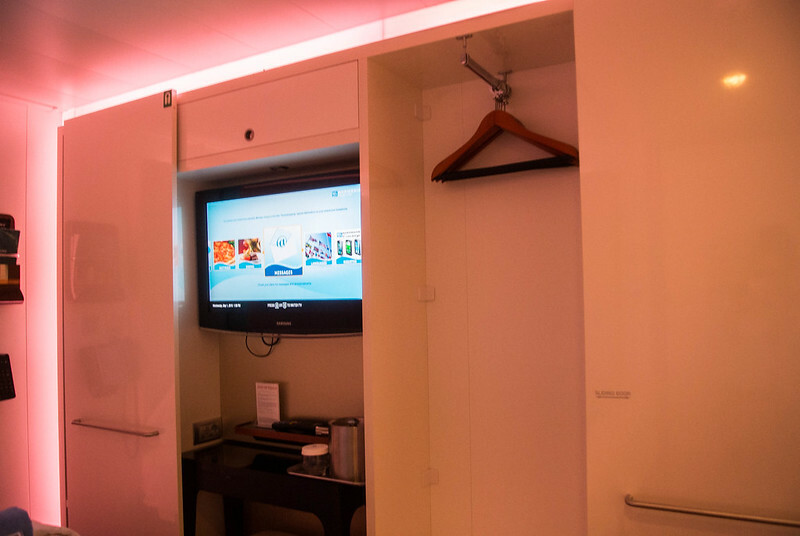 In addition to the lack of single supplement fee, the studio cabins also include access to the studio lounge, "The Living Room," for solo travelers. I was on the 12th floor which is the upper deck of the studio lounge. I think there was a bartender behind the bar a total of one hour per day. I'm glad I took a picture of this board. Because later, there was a big debate about whether it said 5:30 or 6:30. I think she just has loopy handwriting and some people thought her 5 was a 6. However, I went by the time listed in the Freestyle which was 6:00. 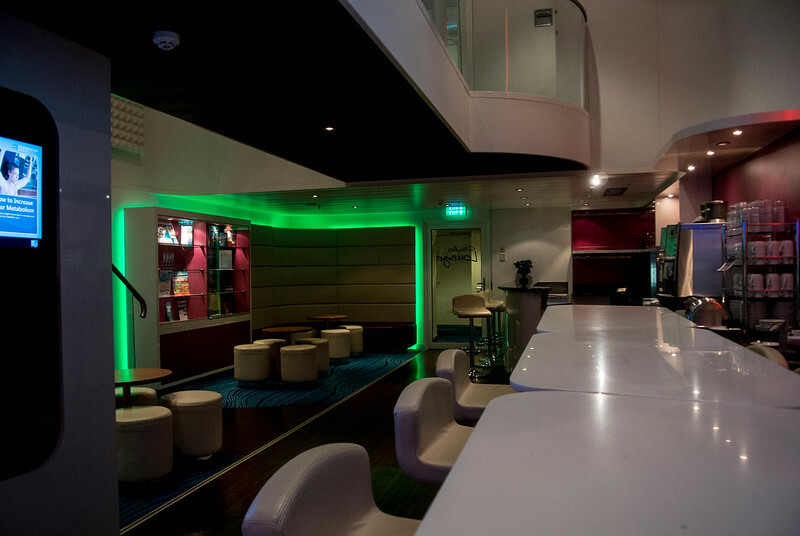 I think that the Studio Lounge/"Living Room" is a good concept, but poorly executed. If they can only have an entertainment director there during one hour of the day, I think that it should be the hour listed in the Freestyle Daily. 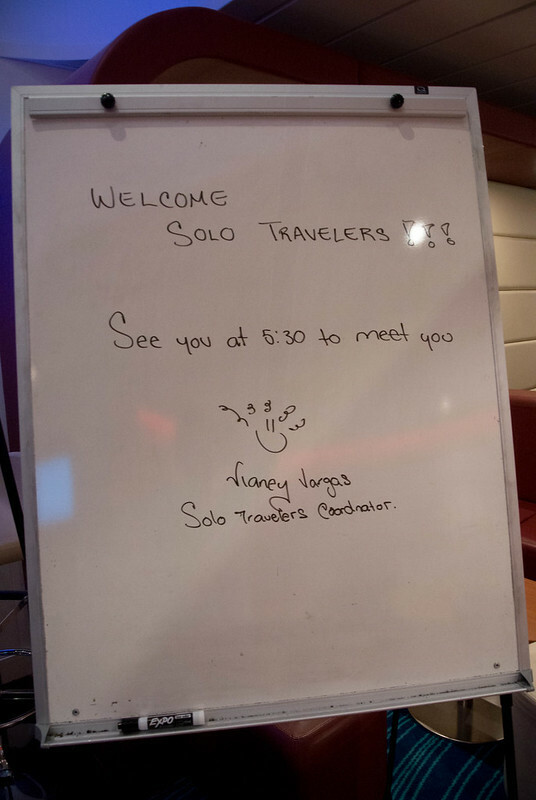 Our Solo Travelers Coordinator, Viviany, made her own hours which were different than the Freestyle's. 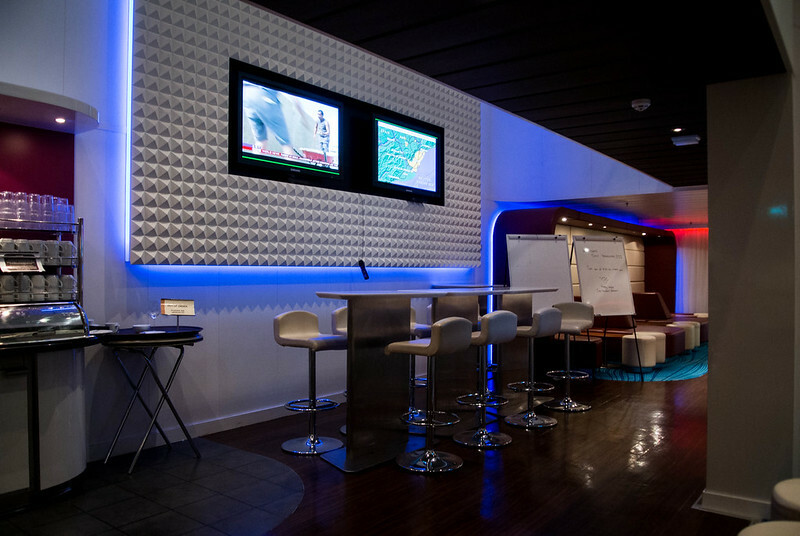 Also, the point was brought up on this trip that the events are public and listed in the Daily, however they are hosted in a private lounge. We had one lady who was traveling solo, but in a balcony cabin. 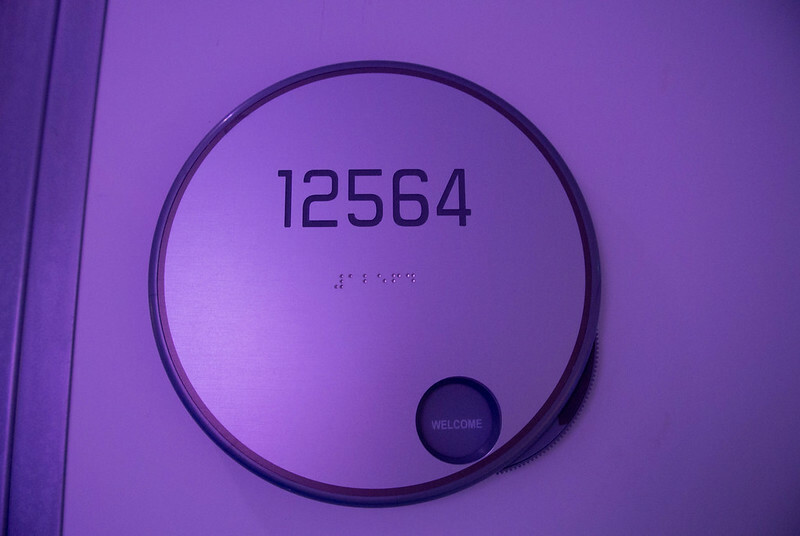 She had requested that guest services give her access to the solo lounge, but they said it was a special perk of guests staying in the studios. 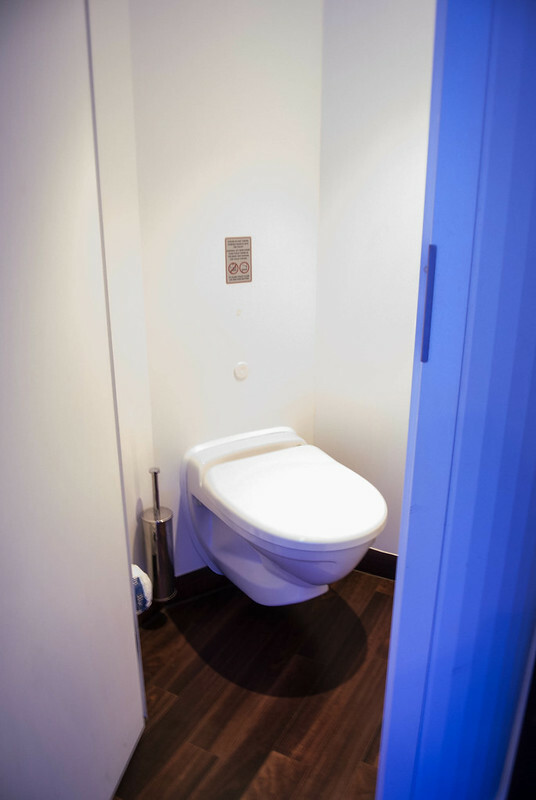 However, guests staying in the studios weren't necessarily solo travelers. If not facilitating interaction between solo travelers, is the Living Room really serving its purpose? I think that meetings for solo travelers should either be held in public locations or solo travelers should be granted access to the Living Room upon request. After all, they are paying more money for a balcony stateroom. 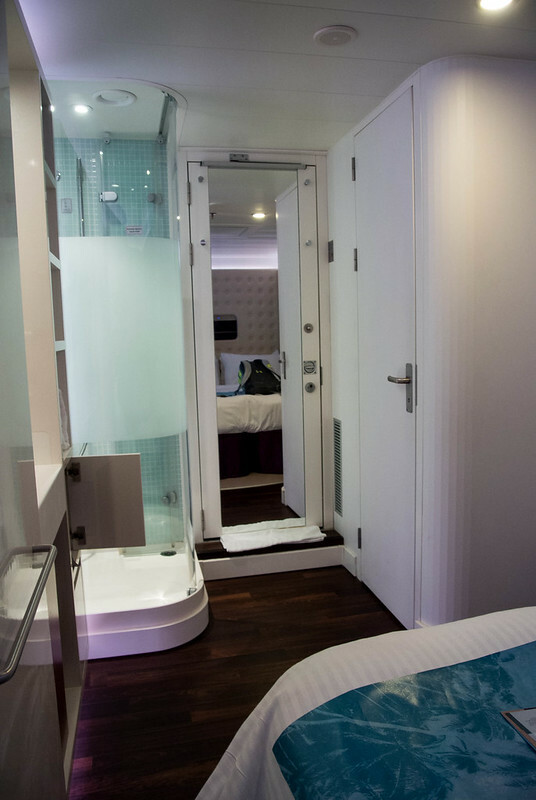 I was disappointed to find out that many of the studio cabins are not actually occupied by solo travelers, but by groups who each want their own stateroom. 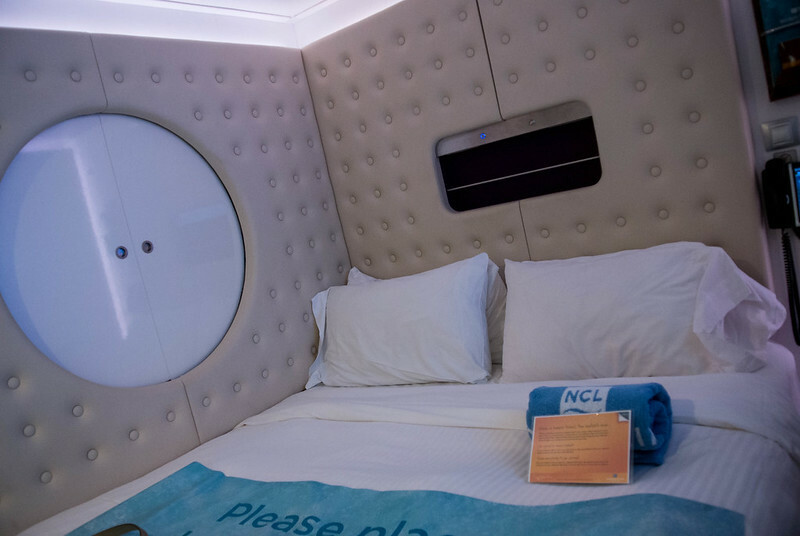 I guess there is really no way for NCL to patrol this, however NCL definitely entertains the idea with the option of adjoining two studio cabins. Sure, I guess if two people want to pay a teensy bit extra and get two rooms instead of one, who am I to stop them? 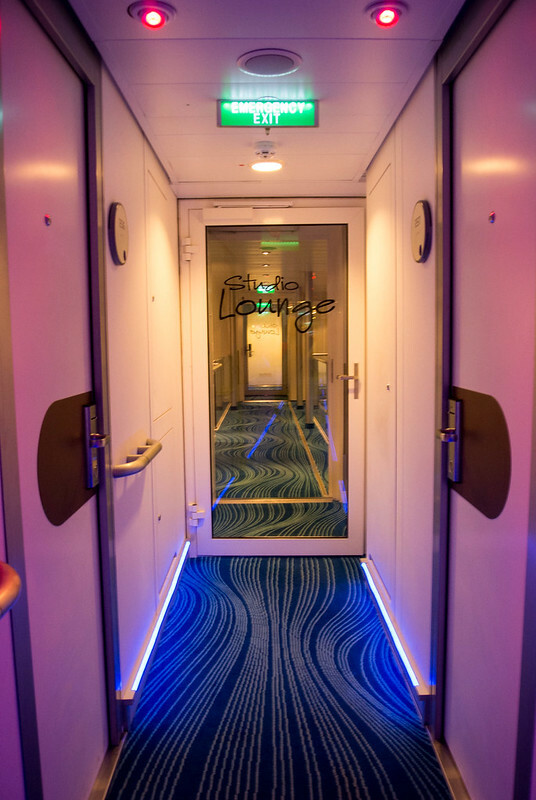 But having large groups in the studio cabins really cuts back on the number of people using the lounge and takes away from the "solos only" cruising experience. 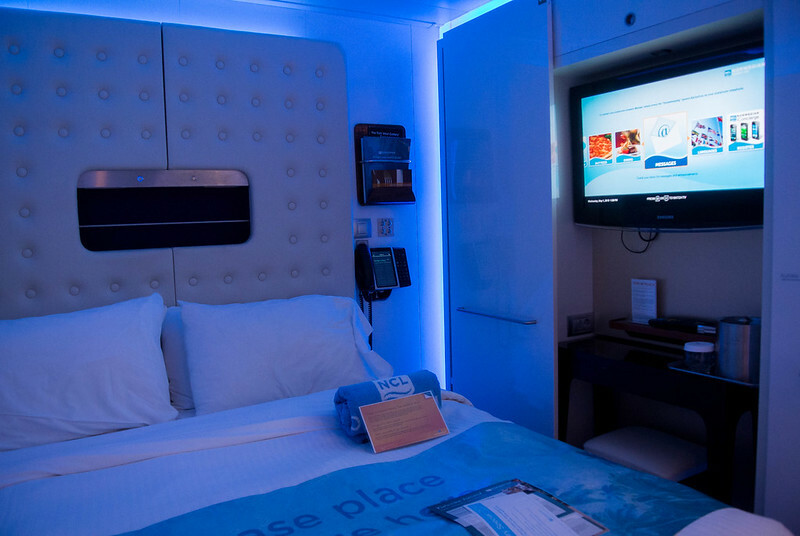 I've heard that NCL has significantly cut back on the number of studio cabins on Breakaway which makes me question their success. 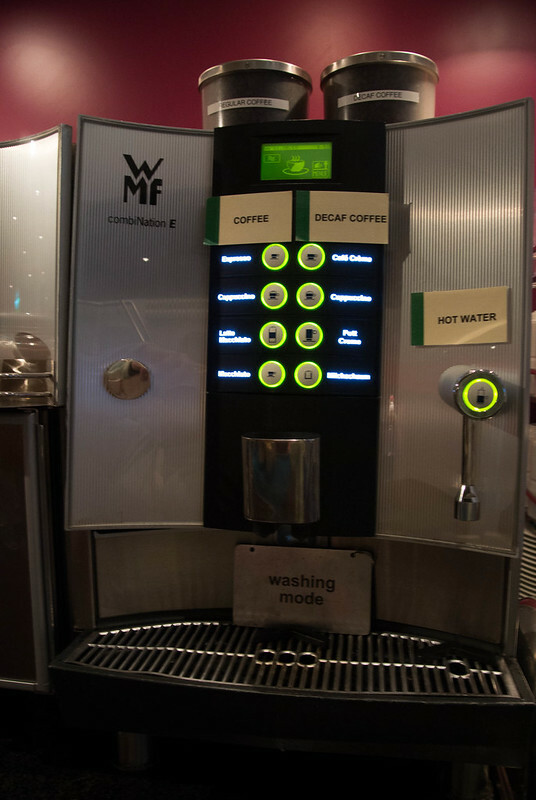 I had assumed they were successful since Royal Caribbean is adding their own version on Quantum of the Seas, but now I am unsure. 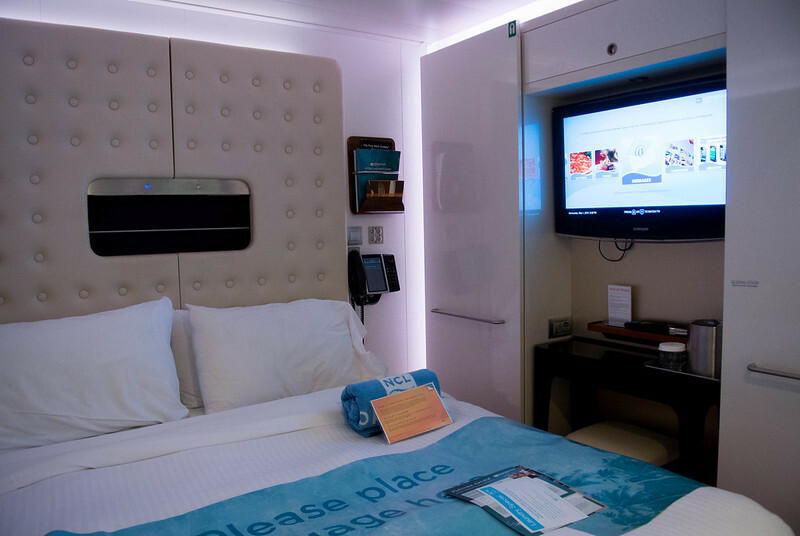 While I'm giving NCL a hard time about the flaws in their solo traveling experience, I must commend them for being the first cruise line to directly address the situation of solo travelers. The studio cabins themselves were great - I didn't need anything more. I don't understand why the bed is so large... did they expect us to not end the cruise solo? 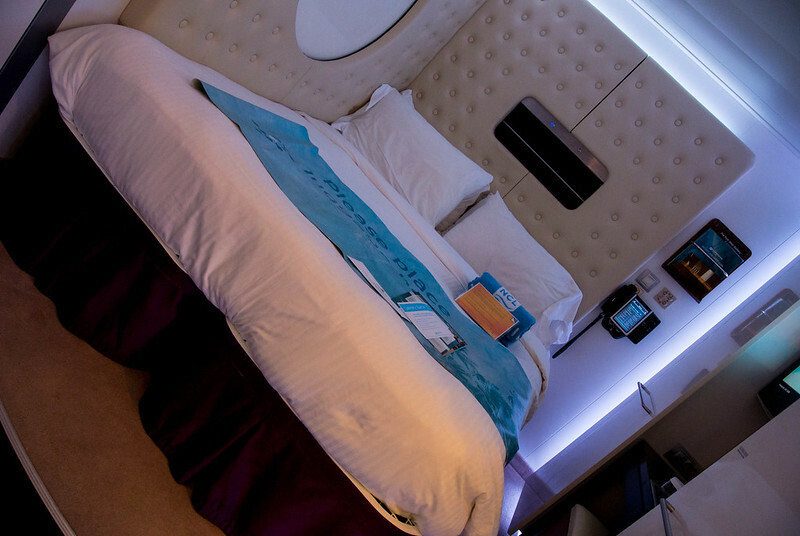 Another solo traveler had made the suggestion that they could make the bed a little smaller which would give more floor space between the bed and the dresser. I think that's a very good idea because I certainly didn't use all of that bed.